Ø Be a Good Listener That’s right most people have no idea that listening is a necessary part of the communication process, but the reality is that listening is an essential part of communication: not only does it help you to build rapport with other people, it ‘s also a way of demonstrating respect for others. Ø You can enhance effective communication by using open body language arms uncrossed, standing with an open stance or sitting on the edge of your seat, and maintaining eye contact with the person you’re talking to. Ø You can also use body language to emphasize or enhance your verbal message patting a friend on the back while complimenting him on his success, for example, or pounding your fists to underline your message. Ø Focus fully on the speaker, his or her body language, and other nonverbal cues. If you’re daydreaming, checking text messages, or doodling, you’re almost certain to miss nonverbal cues in the conversation. If you find it hard to concentrate on some speakers, try repeating their words over in your head it’ll reinforce their message and help you stay focused. Ø Don’t finish other people’s sentences we used to do this a lot thinking we were helpfully finishing people’s sentences for them. Wrong. Research proving that you’re interested in what they’re saying. This also keeps you focused and less distracted. Ø Be willing to compromise Sometimes, if you can both bend a little, you’ll be able to find a happy middle ground that reduces the stress levels for everyone concerned. If you realize that the other person cares much more about something than you do, compromise may be easier for you and a good investment in the future of the relationship. Ø Agree to disagree, if necessary, and take time away from the situation so everyone can calm down. Take a quick break and move away from the situation. Go for a stroll outside if possible, or spend a few minutes meditating. Physical movement or finding a quiet place to regain your balance can quickly reduce stress. Ø India is often described as a land of many religions and languages, but it might as well be described as a land of festivals. Some festivals are observed throughout the country; others have specific regional associations. 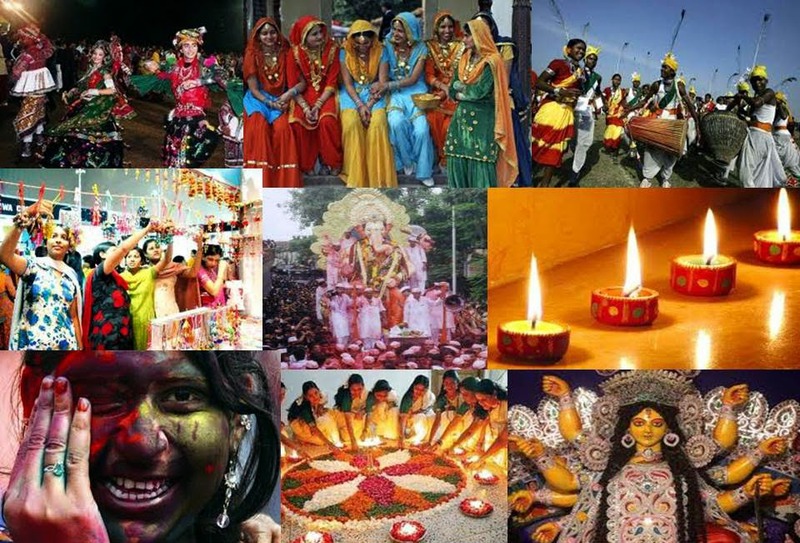 India celebrates holidays and festivals of almost all the faiths in the world. In one region or the other, festivals happen almost every day, each with a specialty of its own. Each festival in each region has its own particular foods and sweets appropriate to the season and crops, and days are spent in their careful preparation. Ø In India, festivals do not just offer people a temporary reprieve from their daily grind. Imbued with deep inner significance, each festival is a multifaceted celebration. The day on which a particular festival is celebrated has a special astrological significance, and certain observances on these days yield manifold benefits. That is why Indian festivals are marked by certain observances such as fasting, oil massages, particular pujas, abstinence, etc. Ø In the Indian Culture there was a time when there used to be a Festival every day of the year – 365 festivals in a year – because a festival is a tool to bring life to a state of exuberance and enthusiasm. That was the significance and importance of festivals. The whole culture was in a state of celebration. · A photo of the Earth has been taken from a distance of 3.7 billion miles. · A human being can survive unprotected in space for about two minutes. · There are really only 23 hours, 56 minutes, and four seconds in a day, not 24 hours. · A solid iron ball 1,500 miles wide sits at the centre of the earth. The temperature there is about 9900 Degrees Fahrenheit. · Earth and mercury are the two densest planets in the Solar System.This means that particles inside the planet are most closely packed together. · Earth is gradually slowing down. Every few years, an extra second is added to make up for lost time. Millions of years ago, a day on Earth will have been 20 hours long. It is believed that, in millions of years time, a day on Earth will be 27 hours long. · From a distance, Earth would be the brightest of the planets. This is because sunlight is reflected off the planet's water. 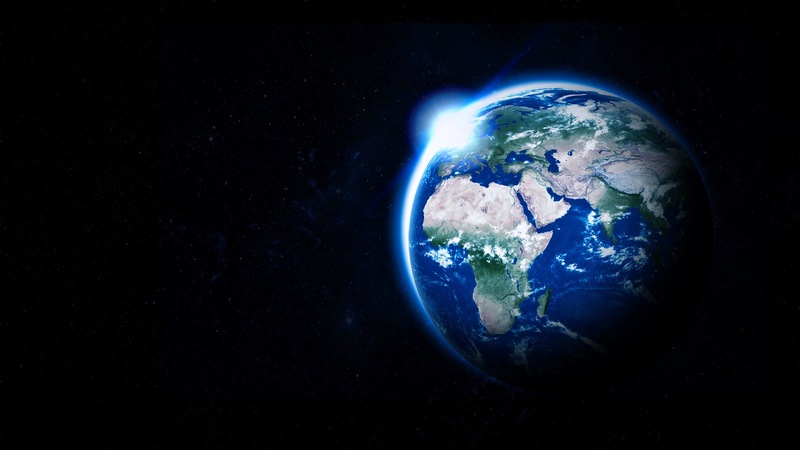 · The Earth weighs 5,980,000,000,000,000,000,000 tonnes. · Planet Earth rotates around the sun at approximately 1000 miles per hour. Everyone can change — but only when they want to. If you want to make a big change in how you're handling your anger, think about what you'll gain from that change. More self-respect? More respect from other people? Less time feeling annoyed and frustrated? A more relaxed approach to life? Remembering why you want to make the change can help. "I'm fine. It's fine. Everything's fine." Even when there's a fireball of rage burning in your gut, you paste on a happy face and dodge any display of irritation. This isn't passive aggression; it's buried aggression. So you're still simmering after your yearly review? If you jot down some of your thoughts, whether with prehistoric pen and paper, you'll gain some clarity as to how they're serving as the antecedents to your feelings. In the process, you can sort out why you're upset and what steps you can take work through the situation. Perhaps most important, putting your feelings into words can make them feel more tangible, and therefore more manageable—which can eventually help them work their way out of your system. Instead of focusing on what made you mad, work on resolving the issue at hand. Schedule meals later in the evening — or agree to eat on your own a few times a week. Remind yourself that anger won't fix anything and might only make it worse. "Set Your GOAL High And Don't Stop Till You Get There"
· Visualize yourself achieving the goal. Napoleon Hill, in his landmark book, Think And Grow Rich had it right. "The starting point of all achievement is desire. Keep this constantly in mind. Weak desires bring weak results, just as a small amount of fire makes a small amount of heat." So, your first step in goal setting and achieving your dreams is that you've got to really, really want to achieve the goal. · Start working toward your goals today. Ask yourself, "What can I do today to get one step ahead, however small, closer to achieving my goals?" Write it down and start now. Taking the first step is arguably the most important step. You'll establish some much-needed momentum. This will make quitting both personally disappointing and strategically harder. In the words of Eleanor Roosevelt, "Do one thing every day that scares you." 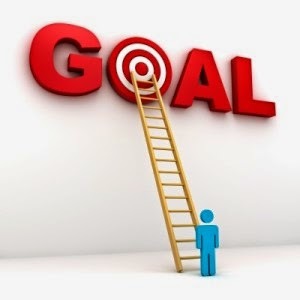 · Commit to achieving the goal by writing down the goal. Lee Iacocca said, "The discipline of writing something down is the first step toward making it happen." I agree completely. Write down the plan, the action steps and the critical path. Somehow, writing down the goal, the plan and a timeline sets events in motion that may not have happened otherwise. In my own life, it is as if I am making a deeper commitment to goal accomplishment. I can’t fool myself later. The written objective really was the goal. · Make sure your goal is time-bound. In other words, set yourself a deadline for meeting the goal. If you set yourself a deadline, your urgency increases monumentally. Without a deadline, you're just kind of along for the ride, paddling downstream, maddeningly unaware of where the finish line is. · Review your overall progress regularly. Make sure you are making progress. If you are not making progress, hire a coach, tap into the support of loved ones, analyze why the goal is not being met. Don’t allow the goal to just fade away. Figure out what you need to do to accomplish it. Check the prior five steps starting with an assessment of how deeply you actually want to achieve the goal. Swami Vivekanand said that an uncontrolled mind leads to all the nativities in life and a controlled mind saves us and frees us from such thoughts. Self awareness is the best way to control one’s mind and also through will power and determination the mind can be stopped from wandering. · Sit quietly and let the mind wander where it wants to go.Keep a strong faith that you are watching your mind drifting in all random directions.The mind is not you or I. 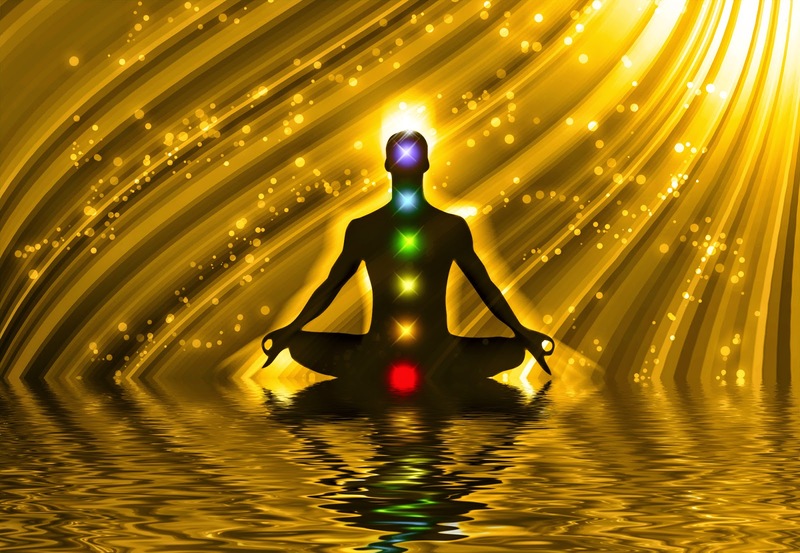 Now try connecting with God but not with any worldly thing or relationship.After some time you will see that your mind is calming down like a serene lake.This will slow down the wandering of mind.Each day practice this and identify yourself.With time your mind will be under your control. · Take several 10-minute brisk walk-breaks throughout the day. · Practice walking meditation.The rhythmic nature of walking lends itself contemplation. Begin by focusing on the physical act and sensation of walking,and then allow your thoughts to focus on one topic only. · Be a man or moral value as pure mind is easy to control than impure one. 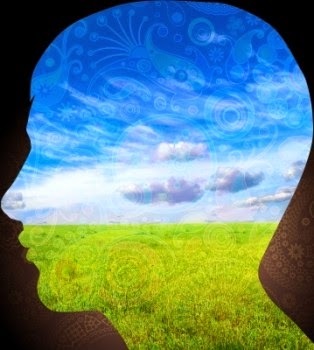 · Controlling mind is not a one day’s job but it needs a regular and systematic practice. It comes under control when there is a feeling of oneness with God. · Your body is a weapon and consider it very strong. Consider your mind to be very strong as only with strong mind and body you will be able to cross the ocean of life. Have a strong faith in yourself, your body and mind. · Be religious. This will make you happy and your mind will be under control. "Energy Goes where Attention Flows"
When you think and talk about what you want and how to get it, you feel happier and in greater control of your life. When you are thinking about something that makes you happy, your brain actually releases endorphins, which give you a generalized feeling of well-being. As a result, you develop a positive attitude. Optimists seek the valuable lesson in every setback or reversal. Rather than getting upset and blaming someone else for what has happened, they take control over their emotions by saying, “What can I learn from this experience?” Resolve today to develop a Positive Attitude toward yourself, the people around you and your life.
" Disregard and replace negative thoughts with positive ones. Even if you started thinking something pessimistic , just take a deep breath and think the opposite, POSITIVE thought." 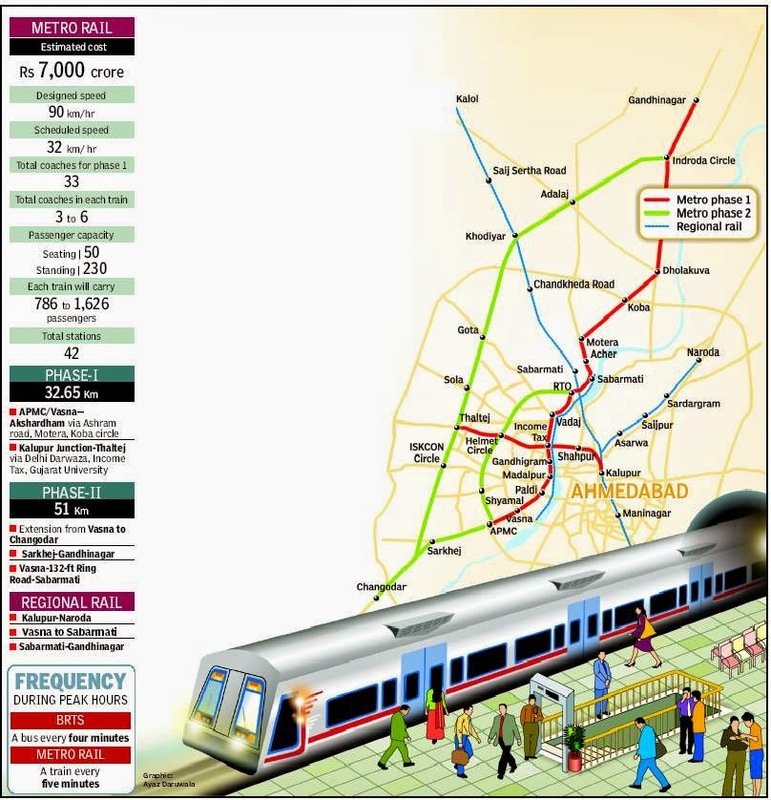 AHMEDABAD: The first phase of the Rs 19,000 crore metro rail project between Ahmedabad and Gandhinagar, spanning over 83 kms, is scheduled for completion in 2017. The project covers around 83 kms connecting important points of Ahmedabad like Kalupur railway station, civil hospital, airport and reaching to Gandhinagar for connecting GIFT city, state secretariat and Akshardam. The project, requiring an estimated Rs 7,600 crore funding over the next two years, has Rs 550 crore provision in the state budget 2013-14, and around Rs 500 crore in the previous one, sources in MEGA said. The metro rail project may have stumbled in the past due to financial constraints and overly ambitious plan,But with ex-Gujarat CM Narendra Modi in delhi as the country's PM,the Project is chugging on its way to reality..
Silent power is the ability to keep something held deep within yourself therefore allowing you an inner strength and determination which builds up to confidence. Silence lowers blood pressure and allows you to deal with life’s challenges in a better way. 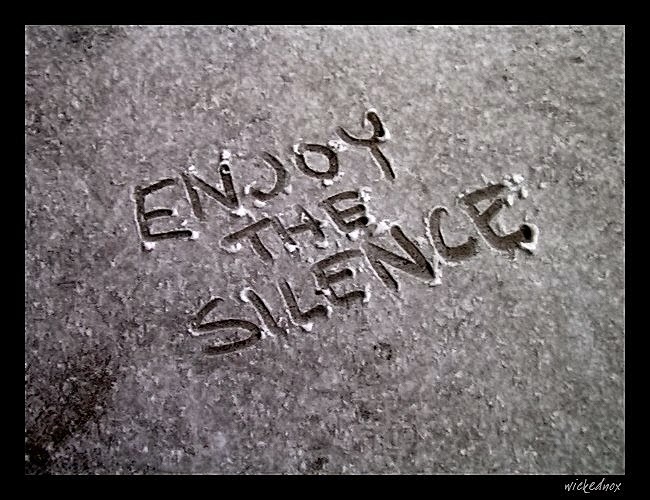 Silence allows you to find yourself in the midsts of all the crazy running around. Especially if you are a busy person, sometimes you get the feeling you are more of a human doing… than a human being… and silence will help you feel human again. Silence reduces pain, and also helps your brain to become more interactive, thus you work with more of your brain… leading to higher cognitive abilities. Silence increases the "will power". Silence makes us serious, introvert and introspective. Silence sharpens the intellect. 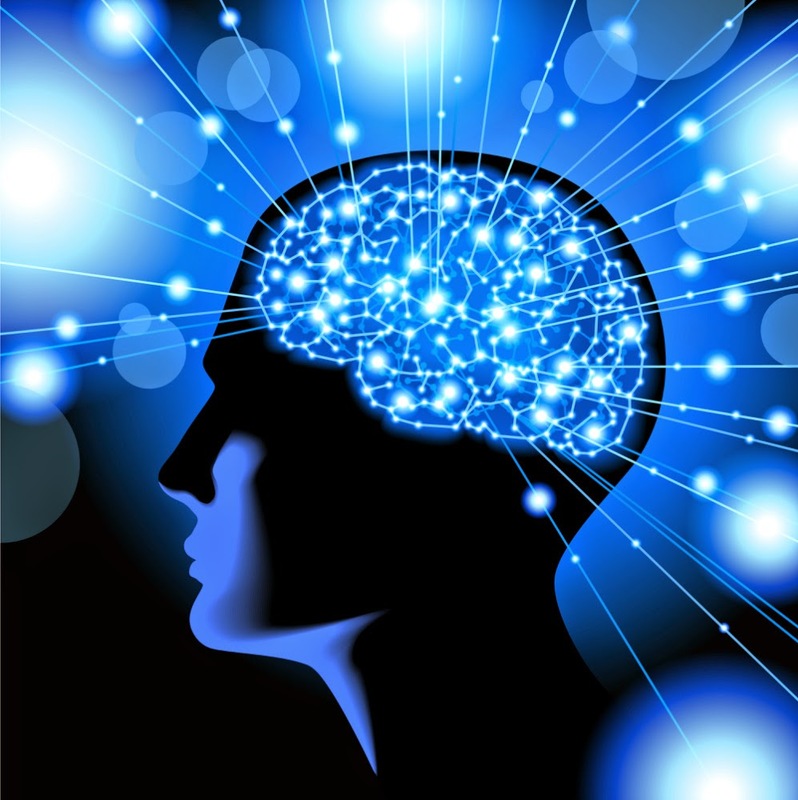 Power of voluntary recollection (memory) and power of grasping are increased. Ten Most Interesting Facts About Our Body!!! 1) A higher IQ is correlated with more dreams. Our conclusion? Nerds are dreamier. 2)By the time you go to bed at night you are about 1 cm shorter than when you woke up that morning. This is because the cartilage between your bones is compressed throughout the day. 3)There are more than 300,000,000 capillaries in your lungs and if they were stretched out tip to tip they would reach over 1,500 miles. 4)You are hot. So hot, in fact, that in just 30 minutes your body can produce enough heat to boil a half gallon of water. 5)Except for identical twins, every person on earth has a unique smell. 6)Your brain is demanding, as it uses about 20% of your entire body’s oxygen and caloric intake. 7)Your bones are strong. Very strong. In fact, one matchbox sized chunk of bone can support over 9 tons of weight, or four times that of concrete. 8) Your skin is the largest organ in your body and in a male adult, if it were to be stretched out, it would cover roughly 20 sq ft.
9) The digestive acid in your stomach is strong enough to dissolve zinc, which begs the question, how on earth does it stay there? Simple, it’s because your stomach cells are renewed more quickly than the acid can destroy them. 10)To grow all the way from the base to the tip, your finger and toenails can take up to half-a-year. The song "Vande Mataram", composed in Sanskrit by Bankimchandra Chatterji, was a source of inspiration to the people in their struggle for freedom. It has an equal status with Jana-gana-mana. "Lotus", (Nelumbo Lucifera) is the national flower of India. It is a sacred flower and occupies a unique position in the art and mythology in ancient India and has been an auspicious symbol of Indian culture since time immemorial. 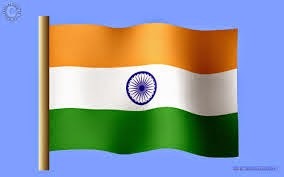 The National flag is a horizontal tricolour of deep saffron (kesari) at the top, white in the middle and dark green at the bottom in equal proportion. The ratio of width of the flag to its length is two to three. "The Indian peacock", Pavo cristatus (Linnaeus), the national bird of India, is a colourful, swan-sized bird, with a fan-shaped crest of feathers, a white patch under the eye and a long, slender neck. The male of the species is more colourful than the female, with a glistening blue breast and neck and a spectacular bronze-green train of around 200 elongated feathers. The song "Jana-gana-mana", composed originally in Bengali by Rabindranath Tagore, was adopted in its Hindi version by the Constituent Assembly as the national anthem of India on 24 January 1950. It was first sung on 27 December 1911 at the Calcutta Session of the Indian National Congress. The magnificent "tiger", Panthera tigris (Linnaeus), is a striped animal. It has a thick yellow coat of fur with dark stripes. "Genetic Dolphin" (Platanista gangetica) is said to represent the purity of the holy Ganga River as it can only survive in pure and fresh water. "Indian Rupee" (ISO code: INR) is the official currency of the Republic of India. The issuance of the currency is controlled by the Reserve Bank of India. The Indian rupee symbol is derived from the Devanagari consonant "र" (ra) and the Latin letter "R" was adopted in 2010. "An adaptation of Lion Capital of Asoka at Sarnath "was adopted as the National Emblem of India on 26 January 1950, the day India became a republic. Forming an integral part of the emblem is the motto inscribed below the abacus in Devanagari script: "Satyameva jayate" (English: Truth Alone Triumphs), a quote taken from Mundaka Upanishad, the concluding part of the sacred Hindu Vedas. "Indian banyan" (Ficus bengalensis) root themselves to form new trees and grow over large areas. Because of this characteristic and its longevity, this tree is considered immortal and is an integral part of the myths and legends of India. "Mango" (Mangifera indica) originated in India and the country is home to more than 100 varieties of the fruit. "Ganga" is the longest river of India with the most heavily populated river basin in the world. The river is revered by Hindus as the most sacred river on earth. "Hockey" was chosen as the National Game because of the team's unparalleled distinction and matchless talent at the time. - One must always stand in an upright manner while the anthem is playing. - Renditions of the anthem--other than those that resemble the original--are considered disrespectful. - One must not be under the influence of any substance or intoxicated while singing the anthem--the idea is to have a clear mind and mean what you're saying! - If the National Anthem is played by a band, it should be preceded by a roll of drums--which is about 7 seconds long--to make the audience aware of it, and give them enough time to stand. 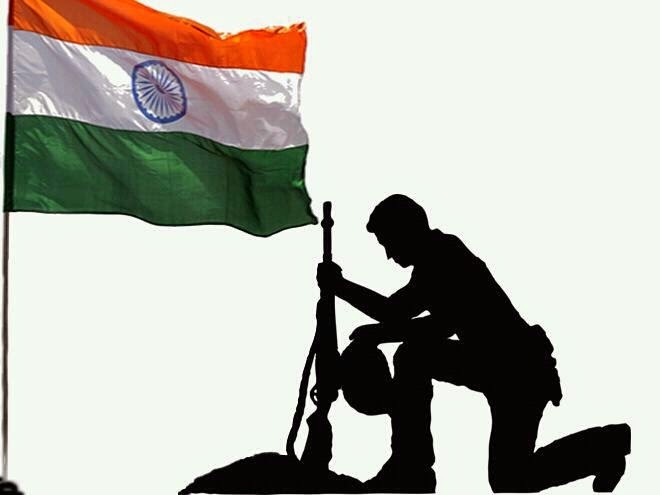 -There should not be any indiscriminate singing of the anthem. A failure to abide by these rules is punishable by law! * When the National Flag is raised the saffron color band should be at the top. * No flag or emblem should be placed either above the National Flag or to its right. * All other flags to be placed to the left of the National Flag if they are hung in a line. * When the National Flag is carried in a procession or parade, it shall be on the marching right or in front of the center of the line, if there is a line of other flags. 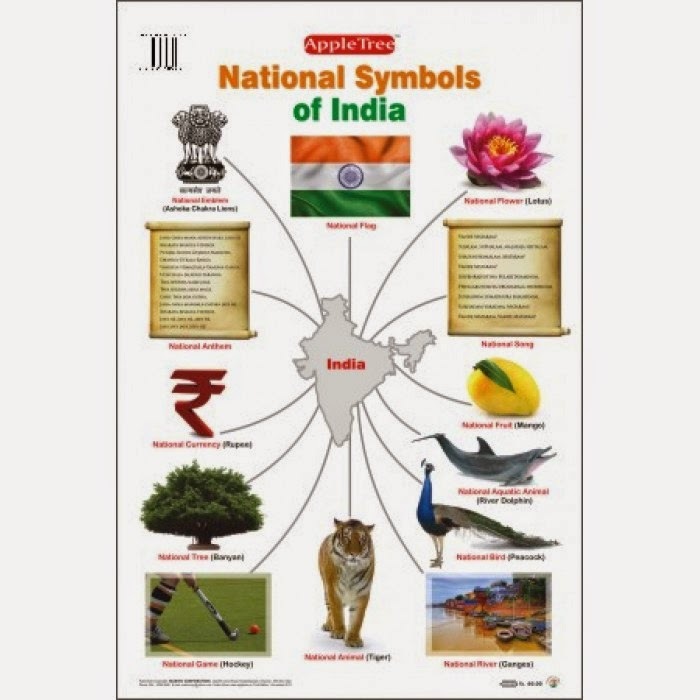 * Normally the National Flag should be flown over important government buildings like the Rashtrapati Bhawan, the Parliament House, the Supreme Court of India, the High Courts, the Secretariats, the Commissioners' office etc. * The National Flag or any imitation of it must not be used for purpose of trade, business, or profession. * The National Flag should always be taken down in the evening at sunset. * The Indian flag was hoisted on the highest mountain peak of the world, Mount Everest on 29th May 1953. * Madam Bhikaji Rustom Cama was the first person to hoist Indian flag on foreign soil on 22nd August 1907 in Stuttgrat, Germany. * The Indian National Flag flew to space in 1984 when Wing Commander Rakesh Sharma went to the space. The flag was attached as a medallion on the space suit of Rakesh Sharma.. Mathematics - Vedic literature is replete with concepts of zero, the techniques of algebra and algorithm, square root and cube root. Arguably, the origins of Calculus lie in India 300 years before Leibnitz and Newton. Astronomy - Rig Veda (2000 BC) refers to astronomy. 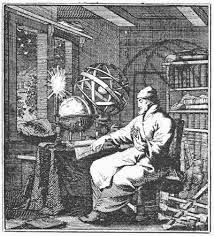 Physics - Concepts of atom and theory of relativity were explicitly stated by an Indian Philosopher around 600 BC. Chemistry - Principles of chemistry did not remain abstract but also found expression in distillation of perfumes, aromatic liquids, manufacturing of dyes and pigments, and extraction of sugar. Medical science & surgery - Around 800 BC, first compendium on medicine and surgery was complied in ancient India. Fine Arts - Vedas were recited and recitation has to be correct, which gave rise to a finer study of sound and phonetics. The natural corollary were emergence of music and other forms of performing arts. Mechanical & production technology - Greek historians have testified to smelting of certain metals in India in the 4th century BC. Civil engineering & architecture - The discovery of urban settlements of Mohenjodaro and Harappa indicate existence of civil engineering & architecture, which blossomed to a highly precise science of civil engineering and architecture and found expression in innumerable monuments of ancient India. Shipbuilding & navigation - Sanskrit and Pali texts have several references to maritime activity by ancient Indians.Sports & games - Ancient India is the birth place of chess, ludo, snakes and ladders and playing cards. What You Can Do To Protect Yourself And Your Family In Flood!! - Create a family disaster plan, including a family disaster supplies kit. - Plan an escape route and be aware of which roads near your home flood easily. Plan ahead where the best place to go would be. A shelter? A friend's home? - Educate family members about emergency procedures. Make sure everyone, including children, know where electric fuse boxes, water service mains, and natural gas mains are and how to turn them off if necessary. - Plan for your pets. Since pets aren't allowed in shelters due to health regulations, make sure you have a plan to keep your pets safe. - Ask an out-of-state friend or family member to be your contact should family members get separated during an evacuation. Make sure everyone in your family has contact numbers. - Check your sump pump. Keep it clean and test it regularly. Keep an accurate, complete list of the possessions in your home stored off site in case you later need to file insurance claims. An example of a free tool is the Allstate Insurance Digital Locker, a home inventory application that allows you to create and manage a list of your possessions through online cloud storage. - Be prepared to evacuate. - Listen to a battery-powered radio for the latest storm and flooding information. - Move valuables to higher locations. - Move hazardous materials such as paint, oil, pesticides, and cleaning supplies to higher locations. - Fill bathtubs, sinks, and jugs with clean water in case water becomes contaminated. - Bring outdoor items indoors. - If so advised by local authorities, turn off all utilities at the main switch. Close the main gas valve. After fade up from hectic work schedule every one want relaxation on Weekends.In Ahmadabad there is no any nature destination like seashore,Mountain or any forest. Ahmadabad has very limited source of entertainment so generally people need to go outside of town for feel lap of nature. Additionally there are many less place near by Ahmadabad for spent weekend so its again so crowded. Royal Infrastructure Solve this problem by presenting ROSE & CROWN Weekend Villas at Ahmadabad in Gujarat. European theme is reputed for its simplicity and beauty.So In ROSE & CROWN we present a place,an address that boasts of a complete natural life - a habitat with not only green cover,but also amenities and activities,and loads of things to do and indulge in,that too amidst multiple mango trees . ROSE & CROWN Villa is Affordable Homes. There are nothing big Cost for Our dream!!! So Must Visit ROSE & CROWN Weekend Villa.